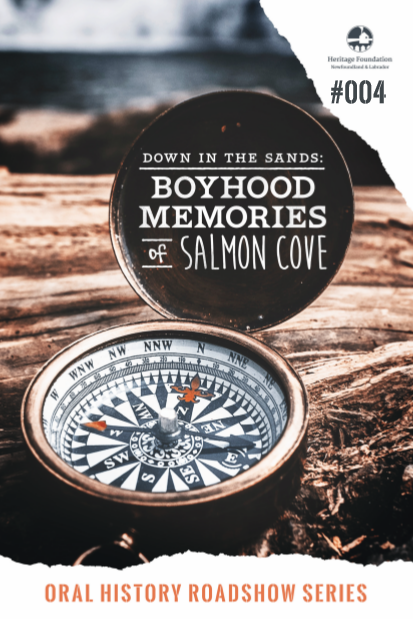 Please join the Heritage Foundation of Newfoundland and Labrador, in partnership with the Salmon Cove Future Development Association, in launching Down in the Sands: Boyhood Memories of Salmon Cove on Tuesday, December 12 at 2:00pm at the Salmon Cove Community Centre (SCPC Fire Department) on Main Road. Copies of the booklet will be available at the event. We hope to see you there!